Thanks to a generous donation from Greyhounds Rock Fredericksburg, the Maggie Moo Fund for Tripawd Rehab is now offering even more free rehab consultations for three legged dogs and cats! Print this certificate as a reminder to schedule your appointment today and get reimbursed up to $200 for your first rehab consultation with a certified rehab vet/tech. 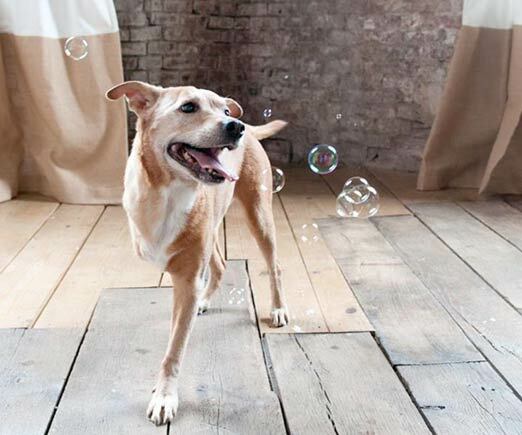 Amputee dogs and cats benefit greatly from rehabilitation therapy. Consultation with a certified vet rehab expert, regular conditioning and a core strengthening exercise program will help keep your Tripawd fit and healthy—loving life on three legs! Apply for free assistance through the Tripawds Foundation and The Maggie Moo Fund will reimburse you for your first visit. Suggestions for helpful canine conditioning equipment or items you can use around the house. An established relationship with a great therapist is extremely beneficial when—not if—your Tripawd needs pain management and conditioning help in the future. You’ll already know a pro who can help. So much can be done in just one session, with fun DIY exercises and stretches you do at home. And, thanks to Greyhounds Rock, the Maggie Moo Fund for Tripawd Rehab is reimbursing even more sessions for those who want to offer the best care for their three legged friends. Visit a certified rehab vet/tech (CCRT or CCRP). Submit your receipt from the clinic for the first session. Send us a brief summary of your experience, with a few photos. *Reimbursement for a single session with a certified rehab vet/tech not to exceed $200.Please review complete program details and submission requirements. Act now! A limited number of sessions will be reimbursed. Have you made your appointment yet? What are you waiting for? Attract new clients and help them reap the benefits of rehab and conditioning with a free consultation for three legged dogs and cats! Print and display this certificate with details about how they can get reimbursed for their first visit. Send it out with your newsletter or share it on your blog or Facebook page! Together, we can help Tripawds and their people everywhere! Had not seen that GREYHOUNDS ROCK added their support tonthe Rehabilitation Fund also. BERY NICE!! !